It's the bachelorette party, and time to support the bride. 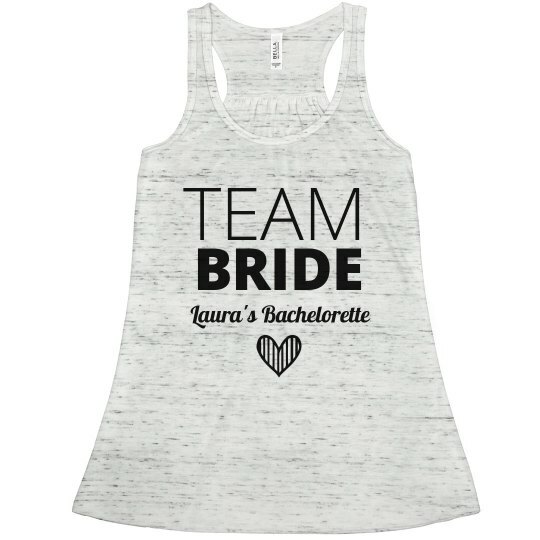 Add the brides name to this "team bride" design. Add some art, like this heart and even add the wedding date.